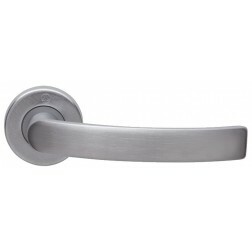 Ghidini window handle Idea series. Mechanism with spindle size of 7x45 mm included. 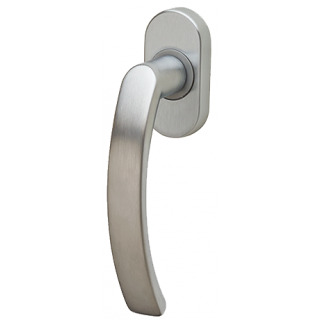 Curved design, rounded hand grip realized in zamak placed on simple oval rose. All Ghidini accessories are subjected to quality control both aesthetic and mechanical, in fact test on durability has demonstrated that average resistance is 280,000 cycles before the handle will break, 80,000 more required by the European legislation. Recall also that Ghidini Pietro Bosco is an Italian company that exclusively uses quality materials in production processes.